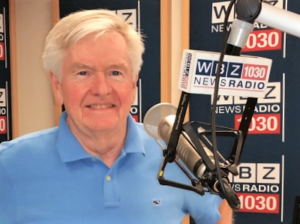 The Carroll Center for the Blind was invited to join NightSide with Dan Rea on WBZ NewsRadio 1030. The Carroll Center for the Blind President and CEO, Gregory J. Donnelly, spoke to veteran news journalist, Dan Rea, about vision loss. The special show featured a conversation about vision loss, the Center’s mission, and how people experiencing vision loss have had their lives transformed. From providing employment training and support to independent living rehabilitation after vision loss, the Carroll Center for the Blind serves all ages and all stages of vision loss. Many supporters called in throughout the evening, including alumni, family and friends.